United Russia party deputies have suggested that the State Duma take up a new bill in the fall session to amend the law on mass media. 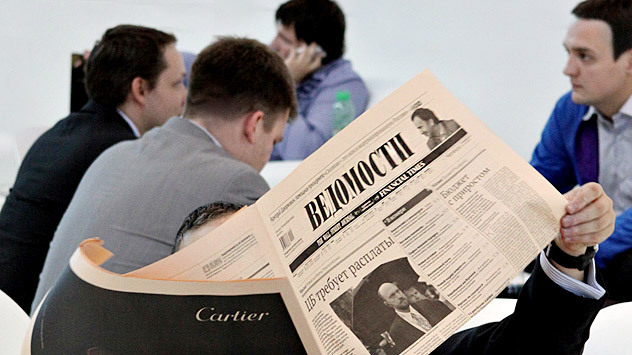 Duma deputies of the ruling United Russia party have a new plan to include foreign-funded mass media outlets in the registry of organizations subject to increased scrutiny. The media outlets could receive the new status as early as the fall. The new rules would be introduced by amending the law on mass media to include a provision covering “mass media acting in the interests of foreign states.” This refers to media that receive funding from abroad. The move comes shortly after the Russian parliament passed a law subjecting NGOs that receive funding from abroad to new monitoring requirement. As most mass media outlets are commercial organizations, they cannot be subject to this particular law, which led the United Russia deputies to come up with the new proposal. The legislators have suggested that some of the media outlets are interfering in politics and serving as mouthpieces for foreign propaganda. Ilya Kostunov, a United Russia deputy, says that discussion of the bill will begin in the fall session of the State Duma. “There are examples of financial audits of public corporations; these could provide a precedent. The media refer to themselves as the Fourth Estate or Fourth Power, whereas NGOs do not; therefore, society has the right to know who is financing the individual members of the Fourth Estate, and what sovereignty they have,” Kostunov said. According to United Russia deputy Vladimir Burmatov, not all media that receive foreign money would have to be on this list. “If they get help with 10 percent of their budget, they will not necessarily be recorded as foreign agents. But, if this help exceeds 50 percent, it means that foreign sponsors already actually control their editorial policy. And in that case, the status of a foreign agent might be applied,” Burmatove said. Duma deputy Ilya Ponomaryov, of the opposition Just Russia party, sees this as a logical extension of the law on NGOs. “The logic of this bill is perfectly clear to me. Everything is going to toughen up. In my view, this is a shortsighted decision by the authorities. Our people are crafty and will find a way to circumvent the law. We are thus forcing people to violate the law en masse. The authors of the idea will not achieve the effect they desire, since the introduction of additional restrictions will bring about a further wave of negativity and turn people against the authorities. It could provoke exasperation and conflict,” Ponomaryov said. This article has been abridged from the original text. It can be read in Russian in the Izvestia newspaper.